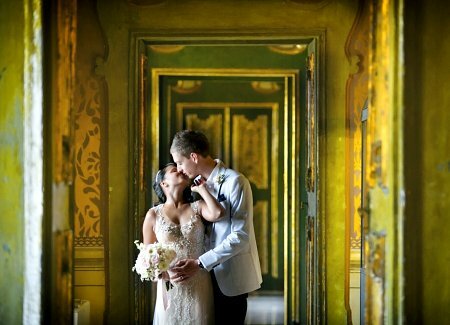 An intimate wedding ceremony in the historic centre of a pretty Puglian town; family, friends and a backdrop of renaissance murals and airy, stucco ceilings. Then gelato, drinks, and applause from the locals, in the grand town square. Next, leaving the town behind for the olive trees and endless blue skies of the Puglian countryside. 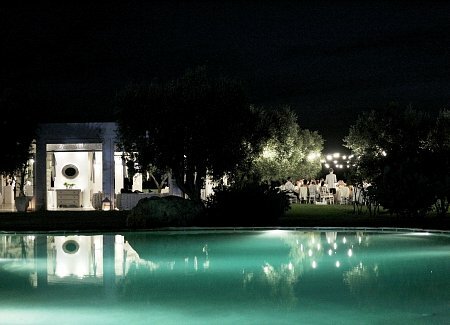 The welcome of a stylish masseria – itself a perfect marriage, of uncomplicated rustic charm, and modern, manicured elegance. 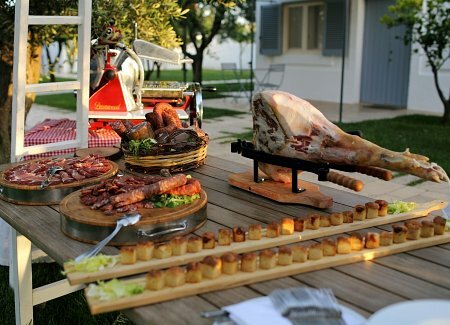 Prosecco, antipasti and music around the pool, and then the wedding breakfast itself. 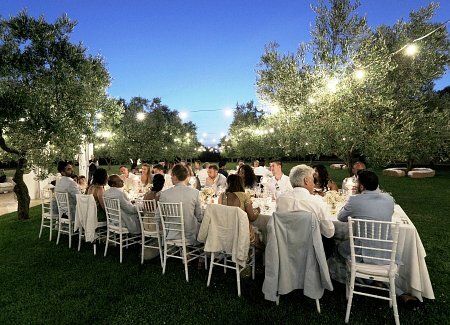 A six-course Puglian feast under the pleasant shade of the masseria’s olive trees. Handmade pasta, local meats, fresh seafood and more. 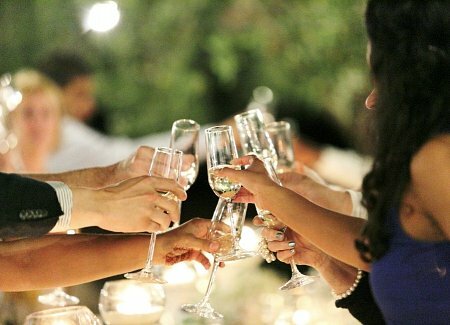 Italian wines, chosen to perfectly compliment the rich and varied delights of the menu. 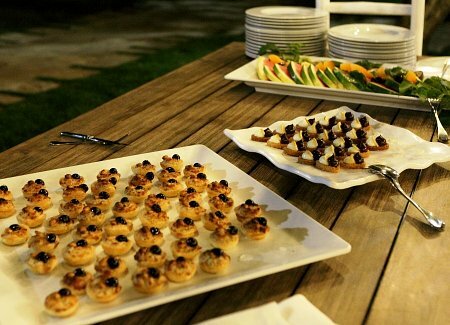 Still eating as the afternoon becomes evening, and the stars – and the desserts – come out. Italian pastries, fresh fruit, honeycomb. And the cake – a classic Italian ‘torta’ of light-yet-indulgent sponge, chocolate and cream. Merriment, music and cocktails under the stars until the early hours. 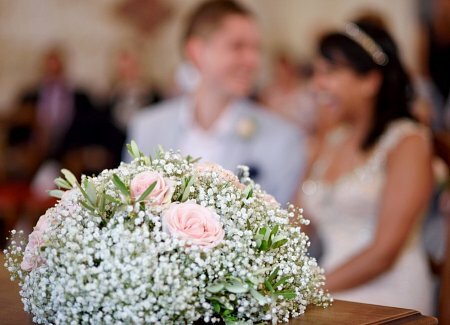 A celebration and a day that the bride and groom will later call ‘a fairytale’, and the perfect first day of a wonderful life together. “From the bottom of our hearts we thank you for creating the most precious and amazing few days of our life. “Without you we would not have found our magical venue, and we would not have been able to share what we and our guests shared together. It was like a fairytale. You have both been so kind, patient, creative, and so detailed and efficient. “We haven’t had to worry about a thing as we had complete faith in you. It was more than we could ever have imagined. 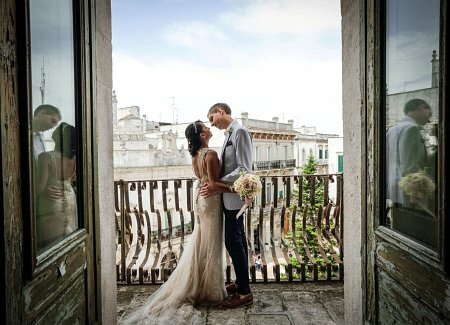 With family connections to Martina Franca – a pretty hilltop town that’s a charming patchwork of whitewashed simplicity and classical splendour – the couple had their hearts set on the town’s historic ‘comune’ – or town hall – for their ceremony. 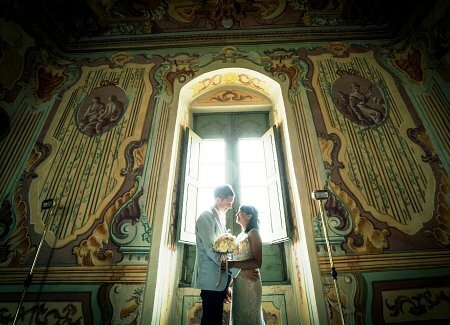 Madama secured them the town hall’s sought-after ‘Sala Degli Uccelli’ room. 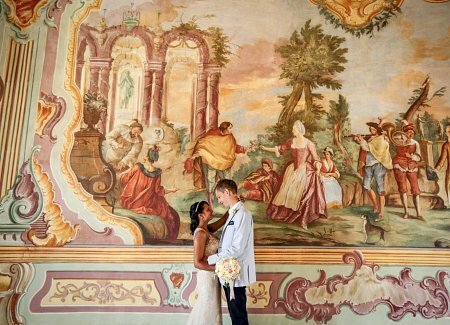 With its stucco murals and high, airy ceilings, the ‘Sala’ is the most breath-taking space in Martina Franca’s town hall, and surely one of the most spectacular locations for a wedding ceremony in the entire region. 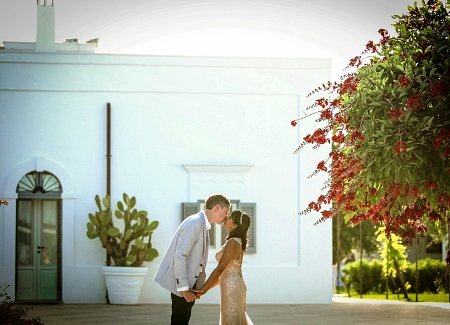 For the post-ceremony celebrations, the couple would need a location to match Martina Franca’s uncomplicated yet cosmopolitan style. They also wanted their wedding party, around 40 people, to be able to stay on site, and all together. 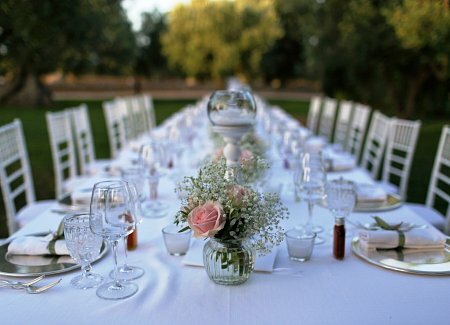 Our ‘Masseria Ulivi’ fit the bill perfectly, and the couple knew it was the place for them early in the wedding planning process, while on a tour with our team of suitable venues. They loved the rustic yet modern feel of the converted ‘masseria’ – or farmhouse – and the idea of it becoming effectively a private resort, complete with swimming pool and manicured gardens, for them and their guests. 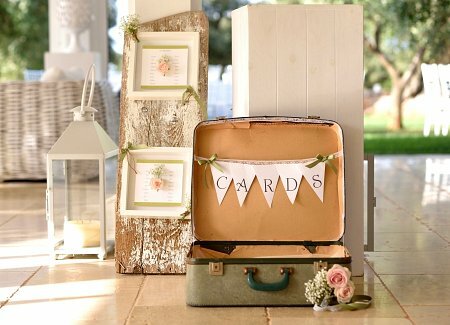 With locations found and fallen for, we worked with the couple to arrange the details of their day. 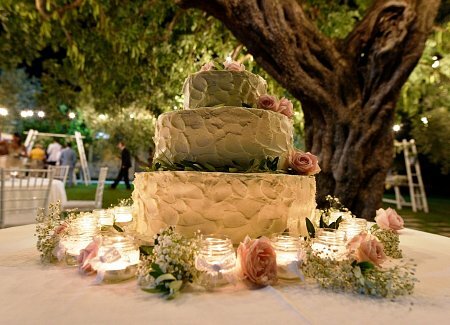 Every aspect, from the paperwork for their civil ceremony, to food, transport, flowers, candles, hair, photography and music, was discussed and arranged. 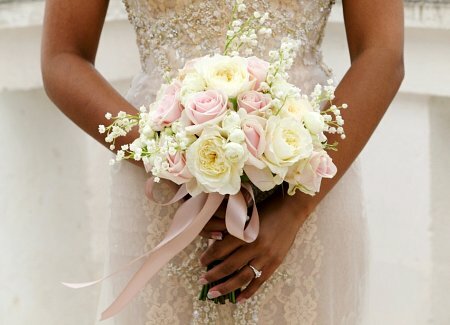 We guided them through each aspect of the wedding planning process, supporting their decision-making with our experience and local knowledge, and working with our network of trusted suppliers to ensure their every need was met. 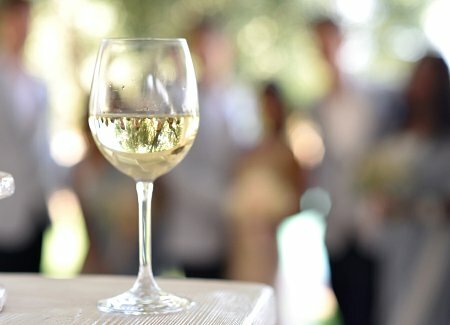 We arranged the bespoke six-course menu for the wedding breakfast (with personal touches like the extra cheeses, for the cheese-loving bride and groom!) We made sure there were plenty of special little details – like our handmade, driftwood ‘tableau-marriage’ – to make the day and the setting even more wonderful. 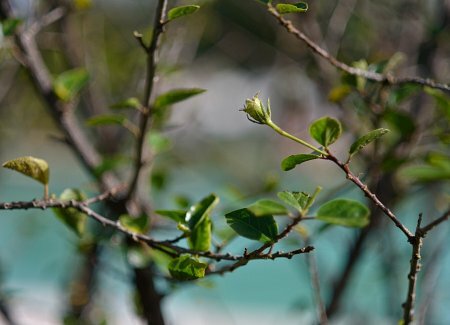 And when the wedding week and the guests finally arrived, they each found a little gift from the Madama team in their rooms – a bespoke guide put together by us, full of local information and useful Italian phrases. 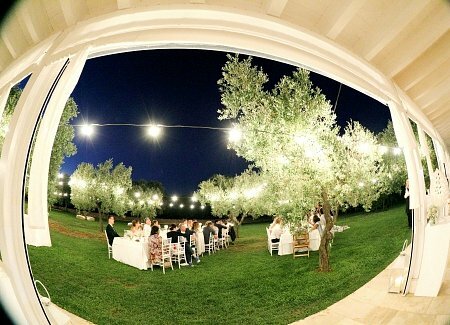 On the evening before the wedding, with bride, groom and guests settled in and ready for the big day, we organised a pizza night in the masseria’s orangery for everyone. 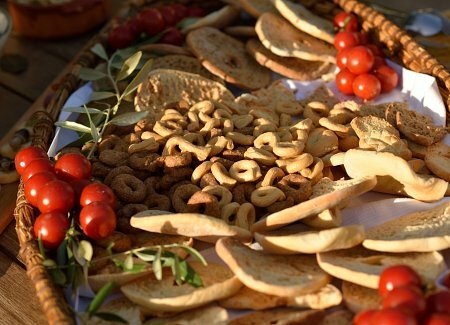 Handmade pizzas, fresh from the masseria’s clay oven… and one or two local beers, of course. 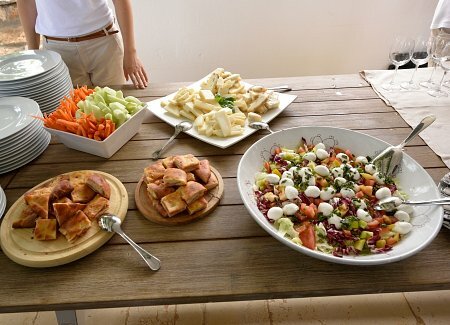 A wonderful Puglian welcome, and a great way to settle any last-minute nerves! 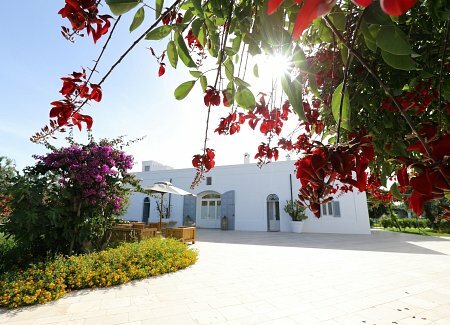 And the next morning, Madama were at both Martina Franca and the masseria, making sure preparations for the ceremony and the celebrations afterwards went perfectly. 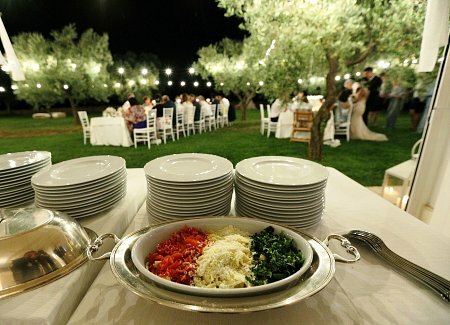 We were there for the couple all the way through their special day, from the first words of the ceremony, to the last song in the masseria’s gardens that night – making sure everything was in place, that no detail was forgotten, and that the couple’s first day together as husband and wife would also be one of their most perfect.